Our Garden Showcase Contest! Share Your Garden With The World - And Win! Announcing our first ever Garden Showcase Contest! Share your garden with the world and win some cool gifts – like a $100 Visa gift card, some great garden tools – and a visit from us to deliver the winnings and write a full featured story on you and your garden! Whether you garden in containers, or on a large farm – you can enter! Ever since launching This Is My Garden 4 1/2 months ago, we have been absolutely floored by the number of fellow gardeners wanting and willing to share a few photos and details of their own personal garden. We have also had some wonderful tips on growing everything from trees to watermelon, making your own maple syrup, and more. The site and it’s following have grown right along with it. This past weekend, the 2,000th follower signed up, surpassing our goal of 1500 that was for the entire 2017 year. And we still have 6 months still to go! So, we figured, let’s go for 5,000! To kick off the effort, we decided to host our first ever Garden Showcase Contest! After all, that is what This Is My Garden is all about – showing and sharing what and how you grow! The contest focuses on the simple love of gardening in your very own personal garden space! We don’t care if it’s small or large, or whether it’s a vegetable garden. flower garden, fruit orchard, vineyard,container garden, herb garden, water garden, rock garden – or even a personal train garden. It just has to be a garden! Simply share a few photos from your garden space – and tell us why you love this beautiful thing we call gardening. Have a beautiful flower garden to share? Enter it today! All you have to do to enter is email us with your entry at info@thisismygarden.com. 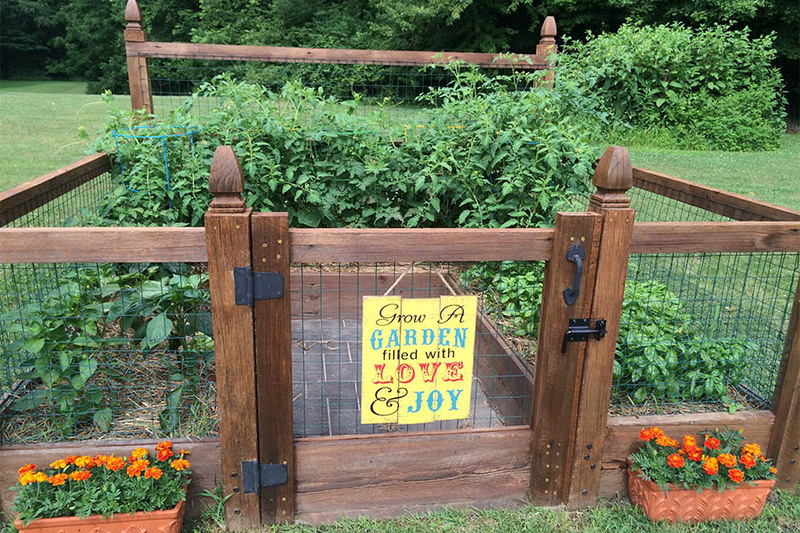 You can send up to 8 photos of your garden or landscape, along with a few paragraphs (300 words or less) describing what you grow and why you love to garden. We will pick 3 finalists from the entries, and then showcase those top 3 on the blog on Saturday, July 1st. At that point, we will open it up to the public to cast their votes on the site for their favorite among the 3 finalists. Voting will continue through the 4th of July. We will then announce the winner on the blog the following Saturday (July 8th). And if you have already been featured in the past on the site – no worries, you are already entered! The Grand Prize winner will receive a @$100.00 Visa Gift Card, a Hori-Hori Garden tool – and a personal gift basket from This Is My Garden filled with seeds and small garden gifts. We will then deliver the prizes to the winner’s doorstep on a mutually agreed upon time. I mean, if it is the grand prize winner – we want to see the garden too! The Grand Prize winner will also have a fulll featured story on their award-winning garden later in the year on both This Is My Garden and Old World Garden Farms’ websites. So get out there and take a few photos of that garden space and enter today!